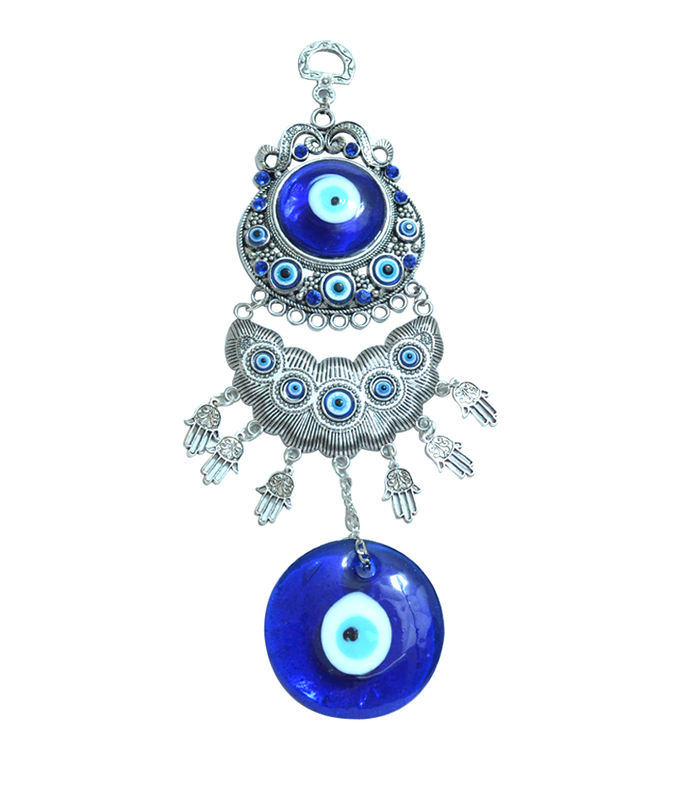 Turkish Evil Eyes (Talisman) is an object which you believe has magic power to protect you or brings you luck. Turkish people believe that it absorbs bad energy coming from evil eyes. Usually; no one leaves Turkey without purchasing a blue and white eye charm. No place of business or home is without one. They comes in many styles, from simple to ornate .Legend has it that it protects you from “Bad Luck” translates into evil or harm wished upon you from another who are jealous of your prosperity, happiness and growth. • This hanging is made from glass and plastic parts. • This attractive hanging can also be used as a car or a door hanging. • Hang this amulet with your home, office or car to shield against evil eye and the eye of jealousy. Disclaimer: This Fengshui Product is Believed to bring about all the good things. We do not guarantee its success and are not responsible for any claim. Product colour may slightly vary due to photographic lighting sources or your Screen settings.